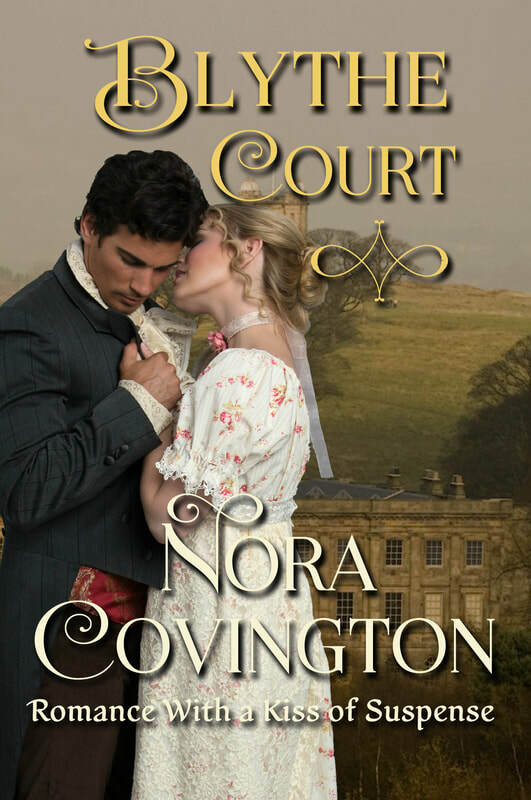 Nora Covington writes historical romance novellas with a kiss of suspense. Each novella (between 30,000 and 40,000 words), is set in an English stately home, such as a manor house, park, hall, or castle. The eBook analogies, each with their own mysterious characters, will soon be available on Amazon, Barnes & Noble, Kobo, Sony, iTunes, Smashwords, and other retailers worldwide. Keep calm, make a cup of tea, and enjoy! For more information, subscribe to my blog or newsletter for interesting updates. Caroline Woodard was convinced that she would die a spinster. Her headstrong personality was not her best quality, or an attractive female characteristic to eligible men. Upon her cousin's invitation to be her maid of honor, she travels to Pendeen, a small village on the Cornwall coast of England. Soon after her arrival, Caroline is introduced to Bramwell Croft, who will be the best man. Even though he is a wealthy owner of a tin mine, Caroline finds him to be a brooding and disagreeable man. Instantly, their personalities clash like the tempestuous sea that pounds the rocky coastline. As a young lady, Mary Gleadhell chose the occupation of a hired companion, rather than seeking love and marriage. When she accepts a new position as company for the mother of the 4th Baron of Warrington, Mary believes she has procured an excellent situation. However, when she arrives at Whitefield Hall and meets her ladyship, she discovers a cold and aloof woman who does not want her companionship. To make matters worse, her ladyship warns Mary to be careful because her son is a snake who seduces women. In fact, she blames him for the hasty departure of two previous companions. The baron, on the other hand, warns Mary not to believe everything she hears, calling his mother a poisonous spider. In spite of their lack of regard for one another, they marry to fulfill their parents’ wishes. Ann, however, harbors a dark premonition that one day the marquess will break her heart. After beginning their married life together, her fears are realized as she is engulfed by a world of secrets, betrayal, and danger at Blythe Court. (Approximately 33,600 words. Join Audible and get a book free. I love audio books. They open up a whole new world of entertainment. They save time from sitting down and reading a book. You can listen while driving to work, during work, taking a walk, running, or working outside around the house. It's a time-saving opportunity to take a moment and enjoy your favorite books, acted out by talented voice artists, many of which are from television and stage. Why not try out a membership at Audible? It's easy - starts with a free trial, has no long-term commitment, and is filled with entertainment. It is my goal to have my Romance With a Kiss of Suspense series eventually on audio.